Mardi Gras 2019 Guide – Are you looking for family friendly Mardi Gras events to enjoy with the kids? We’ve put a list of events together for you! Looking for Mardi Gras events to enjoy with the family? Check out some of the fun family events we’ve uncovered for you. As always, if we’ve missed any, please send them in here. More Information: The parade starts on 6th Street and Sanford Avenue! Gathering starts at 330 pm and then at 4 pm Sashay your way down Sanford Avenue all the way down to West End Trading Co.! There will be food trucks, live music and tons of craft beer & cocktails to be had! More Information: Universal Orlando shared a first look at the new and returning authentic Cajun cuisine coming to this year’s Mardi Gras celebration. One of the most exciting new ways guests can enjoy classic New Orleans dishes is with the new tasting size option. The tasting sizes will give guests the chance to indulge in all of this year’s dishes, or sample just a few of the bold new additions. More Information: Come join us for our first Mardi Gras party, taking place from 10:00 am – 1:00 pm on February 23rd, 2019. Our event staff will entertain children and families alike with music, games, and activities themed around the annual Carnival festival! Come make a carnival mask, dance the limbo, participate in a mini parade, face painting, and more! And of course, refreshments will be served! Another PNP event you don’t want to miss! Tickets can be purchased on our website at princessesandprinces.com/shop. Pricing for Royal Court playground members is $4 per person. 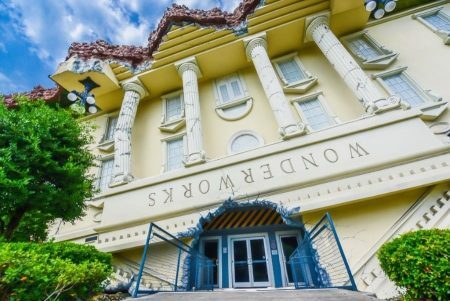 Non-members are $6 per person + regular admission for children. More Information: Elektric Voodoo, a 7-piece band from Southern California, will headline the second annual Mardi Gras Music Festival on Saturday, March 9. 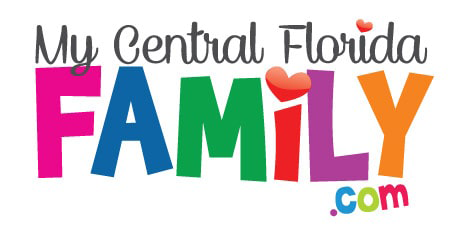 The event, sponsored by the City of Casselberry and the Orange Blossom Blues Society, will be held 5 p.m. to 9 p.m. at Lake Concord Park, behind City Hall at 95 Triplet Lake Drive. Led by Scott Tournet, Elektric Voodoo blends classic Afrobeat, Latin, rock ‘n’ roll, jazz and blues into its own unique genre that tastefully straddles the line between modern and vintage. Rounding out this powerful ensemble with Tournet (vocals, guitar, harmonica) is Matt Bozzone (drums/percussion), Ty Kiernan (congas, timbales, percussion), Travis Klien (tenor sax, keyboards, percussion), Brad Nash (baritone sax, percussion) Willie Fleming (trombone, vocals, percussion), and Luke Henning (bass). Disclaimer: These Mardi Gras 2019 Guide events are subject to last minute cancellations and changes which might not be reflected in this MyCentralFloridaFamily.com post. Please always confirm with this family-friendly business by calling or clicking.